Hear those sleigh bells ringing? It’s time to prepare the email campaigns and say thanks to all your customers, visitors and other people you may know. The most important things are to send email using the premium quality email templates. 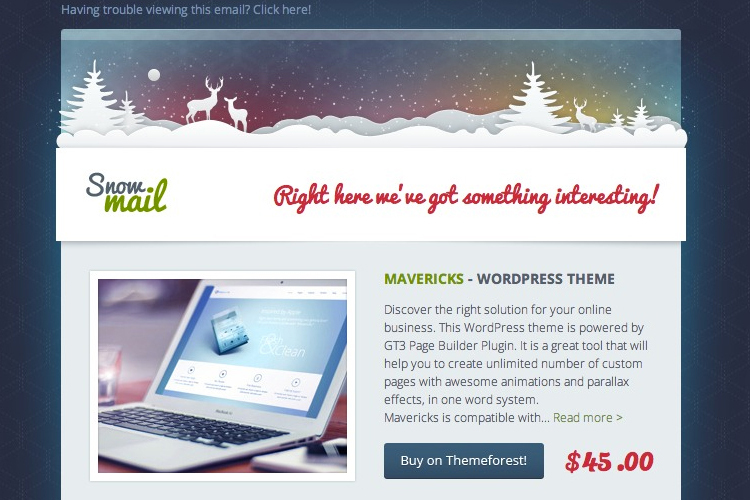 You can download this xMas email template absolutely for free. It will work properly in all most popular email clients. It’s time to say a big thanks to your customers. 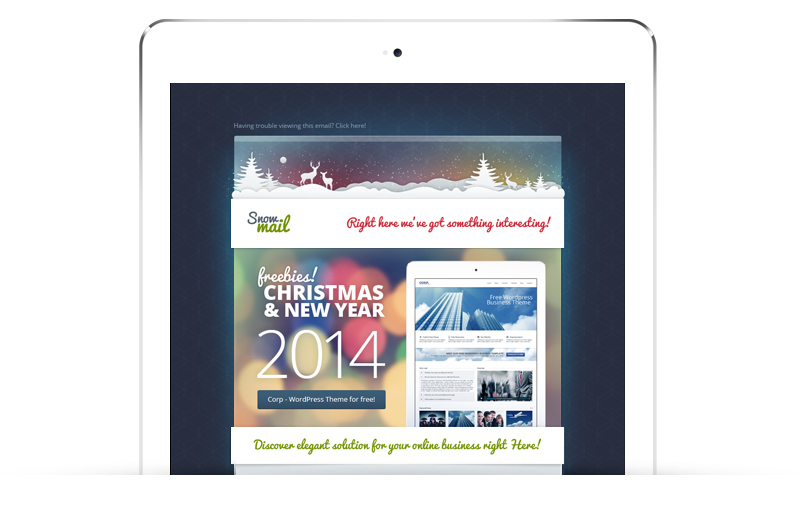 We are proud and we would like to share our absolutely Free Christmas Email Templates. 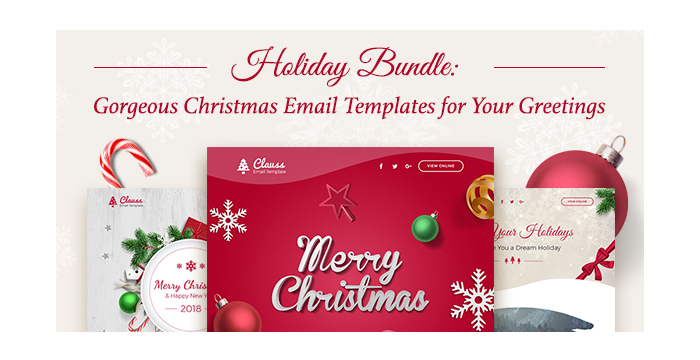 You will get 3 of these free email templates with source and HTML files inside. 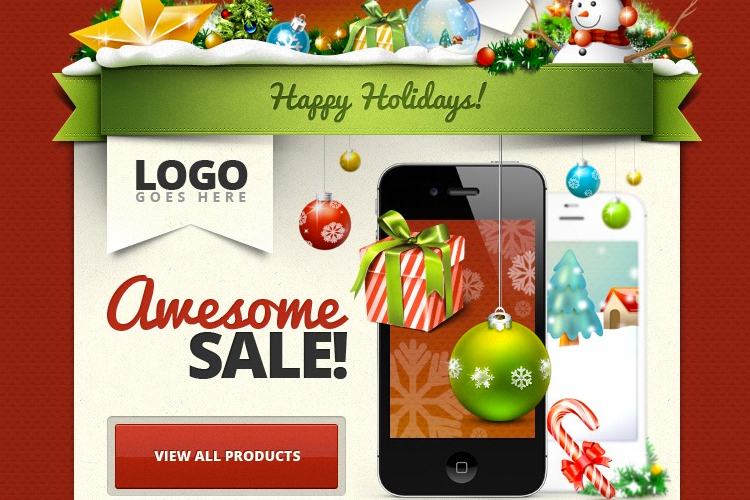 You can send email campaigns about some deals, new product releases, upcoming holiday offers etc. You can use them for your personal and commercial use. We develop premium WordPress themes and HTML templates.